Thank you for again re-certifying the Iran nuclear deal the other day. Although you did not want to do this, and although you are still looking for a way to rip up the deal, you listened to and took the advice of all your major national security advisers. That was a wise decision. Your European allies have breathed a sigh of relief, and many of us hope that you will make every effort to re-certify the deal next time around. I know you have a lot on your plate, but just to say…. It seemed clear from your speech in Saudi Arabia last month that your Middle East foreign policy includes moves to increasingly isolate Iran. Wouldn’t it be wiser to get the diplomats, negotiators, and mediators to work to try to bring Iran out from the cold? 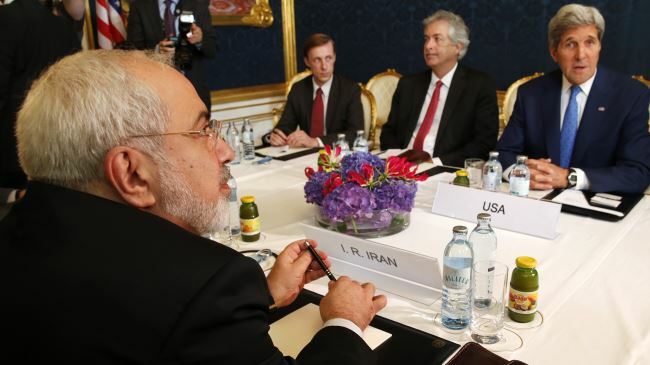 If a deal with Iran could be reached on its nuclear program, why not on other crucial matters? Wisdom is gained from history’s learned lessons. You may be unaware of the big mess, really big mess, that resulted when in 2003 the Bush White House snubbed Iran’s unprecedented and formal diplomatic reach-out to the U.S. The snub occurred because many of the President’s closest advisers talked him into it. For the next ten years Iran ran it’s nuclear program in full tilt boogie. That snub is a huge reason why it became so difficult, and took so many years of trying, to get Iran to the negotiating table for its nuclear program. You can read a summary of the snub here, and about the stunning details that Iran wanted to discuss with the U.S. It’s pretty clear what has been lost by not talking. Of course the Iran nuclear deal is not a perfect deal. Nothing in this world is. And no future deals with Iran, or with any other state, will be perfect either. But I think it would be unwise in the extreme, and harmful to America, for a U.S. president not to put honest, serious, and concerted efforts into trying to build diplomatic relations with Iran. How about using the nuclear deal as a springboard for that? Not to mention that Iran has recently re-elected a president who is open to talking. Diplomats and negotiators have a lot of wisdom. And as one of the biblical kings has reminded us, after seeing peace ensue from an unlikely diplomatic mission, wisdom is better than weapons of war. Image permission Press TV, via Creative Commons. A note from Charles: If you would enjoy more of the perspectives that Waging Wisdom seeks to present, I want to invite you to follow the blog. Just click here, find the “Follow” button in the right margin, enter your email address, and click “Follow.” You will then receive a very short email notice when I post a new article. And, hey, if you like this stuff, tell a friend! Thank you. This entry was posted in AMERICAN POLITICS, IRAN, U.S. - MIDDLE EAST RELATIONS, WISDOM, DIPLOMACY & NEGOTIATIONS and tagged diplomacy, Iran nuclear deal, negotiations, PRESIDENT TRUMP by Charles Strohmer (c) 2014. Bookmark the permalink. Thanks for this excellent post Charles. Wisdom is better than war! Excellent!